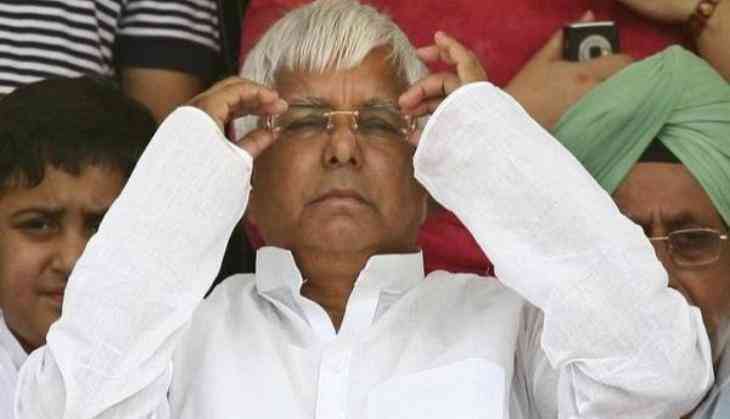 With Bihar Chief Minister Nitish Kumar supporting National Democratic Alliance (NDA) presidential nominee Ram Nath Kovind, Rashtriya Janata Dal (RJD) chief Lalu Prasad Yadav on Friday said the former made a 'mistake' by supporting the ruling government, adding that he will try to convince him to rethink on the same. "I don't know why Nitish Kumar took this decision. I will tell him that he has made a mistake and would appeal him to rethink on his decision to support Kovind," Lalu told ANI. He further said Meira Kumar is the 'daughter of Bihar' and he will try to convince Nitish to back her for the post. "The BJP government didn't even consult other political parties before announcing the name of Ram Nath Kovind for the post of President. Whatever they did was equal to dictatorship. This is a conspiracy" he said. "All the leaders have decided that we will support Ram Nath Kovind for the post of president. He is Bihar's first Governor who has been nominated for this post. We are very happy with this, it is a matter of Bihar's development," Senior JD (U) leader Ratnesh Sada said after meeting all party leaders. However, Nationalist Congress Party (NCP) said political parties made a mistake by supporting Kovind without knowing whether he is going to be a single man in the contest. "Some of the political parties like JD (U), (Biju Janata Dal) BJD, All India Anna Dravida Munnetra Kazhagam (AIADMK) or Shiv Sena have already announced that they are supporting Kovind. I would pose a question to them that don't you think that your decision was a little too immature and in haste when you took important decision like who is going to head the Indian executive for the next five years? It's an important decision," NCP leader Majid Memon questioned. Meanwhile, Kovind will file his nomination today in the Parliament House to be the 15th President of India. The BJP has prepared four sets for Kovind's nomination. The Shiv Sena, Janata Dal (United), All India Anna Dravida Munnetra Kazhagam (AIADMK) including O. Panneerselvam have backed Kovind for the post of President. Meanwhile, the opposition on Thursday nominated former Lok Sabha Speaker Meira Kumar for the highest post India. All 17 political parties unanimously proposed name of Meira for forthcoming Presidential elections. The decision was taken after the Opposition - Congress and the Communist Party of India (CPI), and other parties - met to discuss the NDA decision on Presidential nominee Ram Nath Kovind.